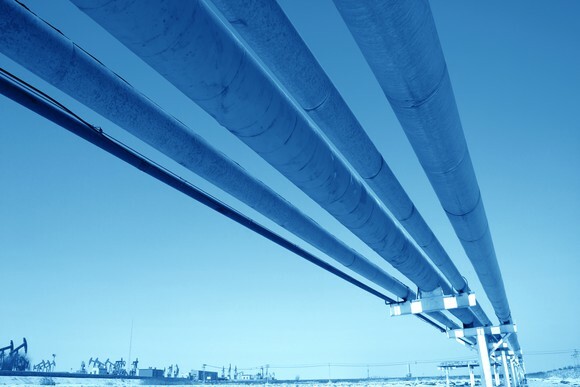 Shares of Enbridge (NYSE: ENB) lost 20.5% of their value in 2018, according to data provided by S&P Global Market Intelligence. 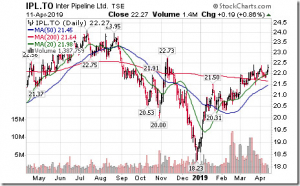 While the Canadian pipeline company's stock started the year in positive territory, it sold off in mid-January and never regained its footing despite making several moves geared toward removing the concerns weighing on its shares. On the heels of a disappointing 2017, Enbridge pledged to take several steps to ease investors' growing worries about its financial situation after its debt rose above their comfort level as the company financed a large slate of growth projects. 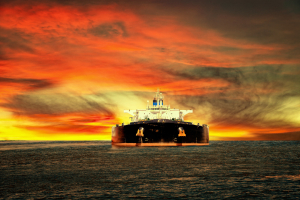 The company initially targeted selling 3 billion Canadian dollars ($2.3 billion) of noncore assets, which when combined with the cash flow from expansions coming online during the year would have pushed its leverage ratio below 5.0 times by the end of 2018. However, the company exceeded that plan by selling CA$7.5 billion ($5.7 billion) in assets last year, which helped push leverage to an even more comfortable 4.5 times. Meanwhile, Enbridge went a step further and addressed concerns about its complexity by acquiring all its publicly traded entities. These moves not only simplified its structure but will enable the company to retain more internally generated cash flow in the future to reinvest in expansions. Even with these moves, Enbridge remained on track to achieve its three-year growth forecast to expand cash flow per share at a 10% compound annual rate. Despite all that progress, shares of Enbridge slumped last year. Two factors weighed on the stock. First, the company was in transition for most of the year, which gave investors pause. In addition to that, the stock and oil market sold off over the past few months, which put additional pressure on shares. Last year's sell-off pushed Enbridge's valuation lower and its yield higher. Because of that, the company currently sells for about 10 times anticipated 2019 cash flow and yields 6.4%. As a result, investors who buy today are getting paid well as they wait for the market to reward the company for addressing all its concerns last year. David and Tom just revealed what they believe are the 10 best stocks for investors to buy right now... and Enbridge wasn't one of them! That's right -- they think these 10 stocks are even better buys. Matthew DiLallo owns shares of Enbridge. The Motley Fool recommends Enbridge. The Motley Fool has a disclosure policy.